Anns Hill07710 388180work07710 388180fax Self-cateringAnns Hill is an extremely handsome Georgian House, 2 miles from the bustling market town of Cockermouth, William Wordsworth birthplace. Anns Hill Cottage is attached to the main house, has been lovingly restored and now provides superb accommodation for the discerning guest. No half measures, no short cuts, everything about the facilities, furnishings and decor are out of the top drawer, creature comforts abound in every room. 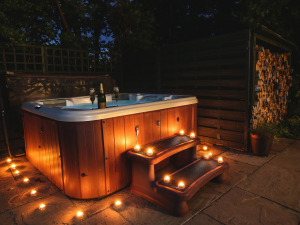 If you are searching for somewhere special to spend a few days away from it all with someone you cherish, look no further, you've found Anns Hill. Whatever your requirements, please do contact us. We live here and will be delighted to help. Anns Hill offers weekly bookings starting on Friday and sometimes short breaks. We had such a lovely stay. The place is well equipped and the host exceptional hospitality makes the stay so much more enjoyable. We recommend this place to anyone and hope we can find time to stay again.